You may not think about it, but the things that are actually holding up the building that you are living in need a lot of constant work and attention to keep them up to standard. Not everything lasts forever, and there is so much damage that can happen to bricks and the things that are holding them in. 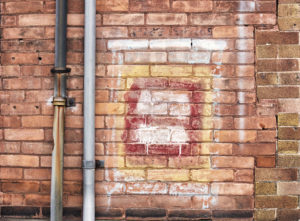 The weather is the main contributor to how long they’ll last; areas that experience a lot of acid rain will see their bricks decay a lot faster. 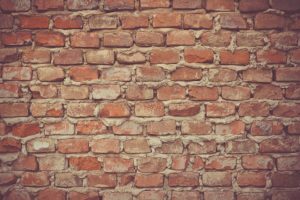 Birds are also bad for bricks – they take bits away to use for grit to grind up the food that they have eaten throughout the day. Repointing the spaces between the bricks is also a job that needs to be done as soon as it needs it, to ensure that the building is stable. There are tips and tricks online as to how to repoint your house, but you may need to enlist the help of a professional. Especially during stormier weather, the roof to our home can suffer a lot of damage. It may be purely cosmetic, in that a tile has flown off or cracked and needs replacing, or it could go a bit further and need a full repair. There are places that offer roof repairs, and you’ll need to have a good scout around for recommendations on those who can effectively come and do the job that is needed to be done on your roof to ensure that you aren’t susceptible to leaks, pest entry or anything else getting into your home. The drainage around your home should be checked at least four times a year – once per season. Especially in the autumn/winter season, you may want to check things like your guttering and drainpipes for any buildup of leaves which may be affecting the flow of water. It is still the same in the summer and winter months; there are adverse weather conditions that can definitely affect not just the guttering on your house but the drainage at the end of it, and although we often associate summer with warmer weather a few showers, this is actually a season which can see massive downpours that will affect how quickly the excess water can be absorbed. Although these may seem like trivial things to keep checking, they really do all equal up to a happier, healthier structure that you will be inhabiting. They only take a few minutes to check, and getting them before all the jobs build up and start to get expensive is the key to keeping yourself stress-free.